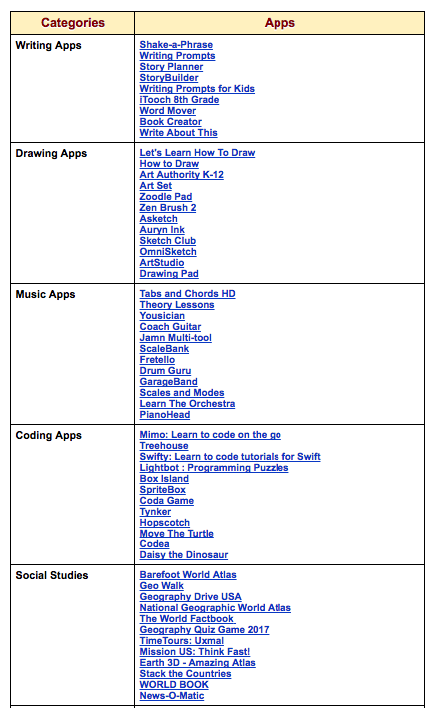 For those of you teaching in middle school, here is a collection of some good iPad apps to use with your students. 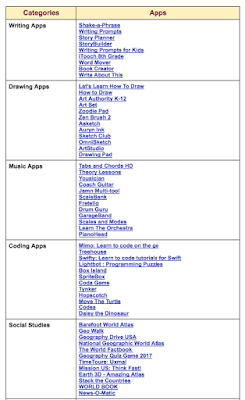 These are all apps we reviewed in previous posts in the past. We arranged them into the following categories: writing apps, drawing apps, music apps, coding apps, social studies, science apps, and math apps. You may want to bookmark this page for later reference. If you have other suggestions to add to the list please share with us in our Facebook page.